Absolute beachfront. Four bedrooms. Ideal family holiday home. Excellent views, large deck overlooking beach. Private access to beach. Grassed areas where kids can play. Facilities: "Plumbed" Gas BBQ, TV, DVD, fridge, microwave, dishwasher, well equipped kitchen, auto washing machine, dryer, ceiling fans in living area and bedrooms, outdoor furniture. Premises available from 2.00pm on day of arrival and must be vacated by 9.00am on day of departure. Pets not allowed under any circumstances. 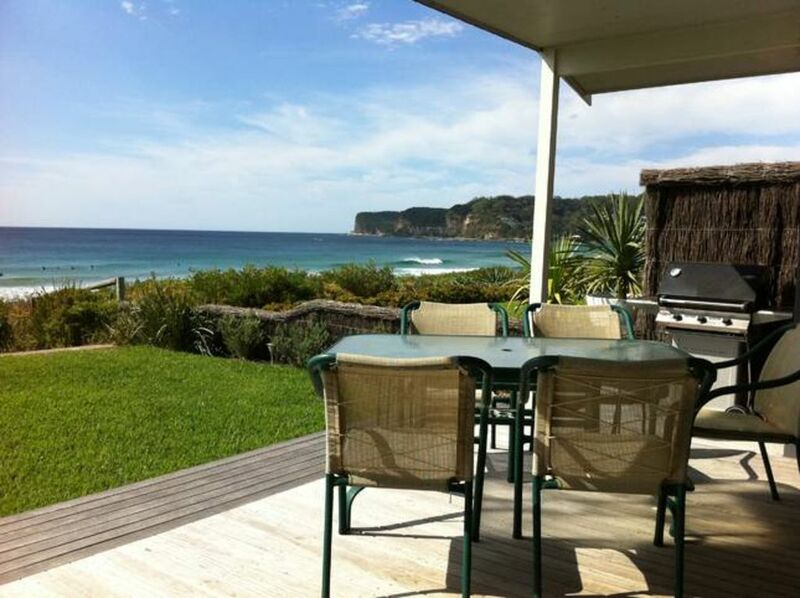 Sit on the deck and enjoy and uninterrupted view of the North Avoca ocean frontage from the North Avoca headland in the north to Avoca Beach headland in the south. Perfect holiday home , beautiful view right on the beach . We had a week in this property, we all loved it . Beach cottage with plenty of charm and comfort . Great view , right on the beach . The deck overlooking the beach was our favourite place to sit . The beds were comfortable and the owners had thought of everything. We will be back . The Beach House location is magnificant. The cottage is clean and comfortable and not without charm. The Beach House location is magnificant. The cottage is clean and comfortable and not without charm. Take a few good books and just listen and smell the ocean, I only wish I could live there forever!